In 2000, Germany passed a law by which electric companies had to pay a sum of money to those people who installed electrical power, and who could introduce what was left over to the network. Since then, the growth of solar panels has been so powerful that today 30% of electric power comes from renewable sources. With this impulse, there are entire areas that live off solar energy. 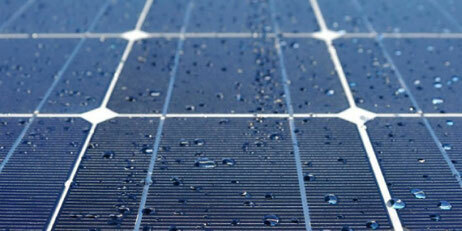 They use the latest technology in solar panels and are capable of producing four times more energy than they consume. One of the best-known solarsiedlung (solar villas)is in the vicinity of Freiburg, the fourth largest city in the state of Baden Würtemberg (south of the country). It was all thanks to the architect Rolf Disch, who designed these solar villas that have made Freiburg the champion of the solar panels. Disch designed 54 passivhauss, that do not use any active energy system to maintain the temperature. On its roofs installed high technology panels. The walls are insulated with foam and have a thickness of up to 30 centimetres. The house has triple glazing and is externally sealed. Fresh air enters sucked through a funnel in a wall. According to The Guardian Meinhard Hansen, chief architect of Freiburg, and a world authority on passive houses: "The heat that comes out of the house heats the cold air that enters". Thanks to this, these solar villas can produce on its best days four times more energy than it needs. That surplus energy is pumped into the network, and receives a financial compensation. The state pays 0.48 euros per kilowatt hour. To get an idea of what these solar villas save, and what they do not pollute, this example is enough: an old house in Germany needs 6,000 litters of diesel per year to heat up the house. The solar villas also enjoy a special system of financing through the so-called "solar fund" (real estate funds) or through small external investors. That is, it has state and private financing, through the "100,000 roof program" of the Federal Government. The price of the construction: approximately 500 euros per m2, 10% more than a usual house. With this, the Freiburg model is being imposed in many cities in Germany, a country that in 2022 will close its nuclear power plants, and that wants to become the pioneer of solar energy. Now, solarsiedlung grow like mushrooms in a country, by the way, which has fewer hours of sunshine per year than Spain. In this way, the annual solar electricity production is 420,000 kWh, that is, four times more than what it consumes annually and that together with the design of energy efficiency that houses have, it is possible to avoid the consumption of up to 200 thousand litters of oil and to emit up to 500 tons of carbon dioxide (CO2) into the atmosphere each year. Germany has a long tradition in the use of renewable energies, especially solar and wind. Some companies originating in this country, such as Siemens, have become a reference worldwide for their technological solutions. And some regions have been the engine of the renewable industry. The city of Freiburg stands out for its pioneering nature in the use of solar energy. One of the architects of Freiburg's concern for solar energy is the engineer Dieter Seifried, who created an entity to investigate alternative forms to fossil or nuclear fuels. 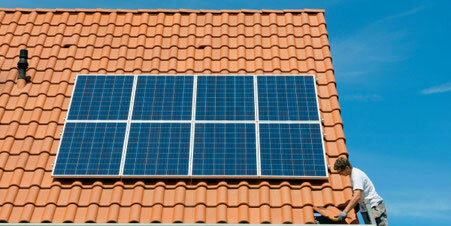 Among the merits of Seifried is to have stimulated the installation of solar panels on the roofs of houses. A movement of this size cannot be carried out outside the local authorities. The towns of Solarsiedlung and Sonnenschiff play a special role within Freiburg. Both have been designed for the use of energy and to survive only by converting sunlight into electricity. Their characteristics make them an example of sustainable neighborhoods. And it not only has enough resources to supply themselves but they generate more energy than they need. The rest, of course, they pour it into the general electricity grid.